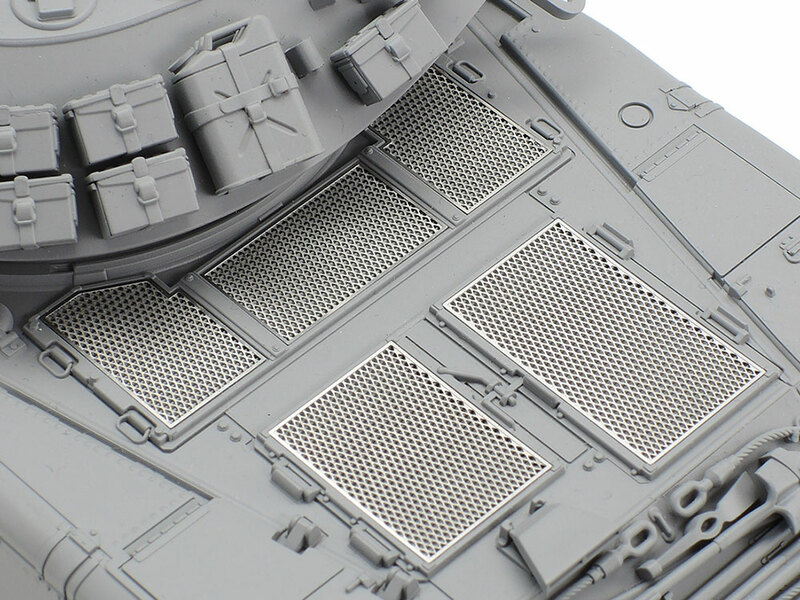 ★Add a whole extra level of detail to your 1/35 Sheridan with this comprehensive set! 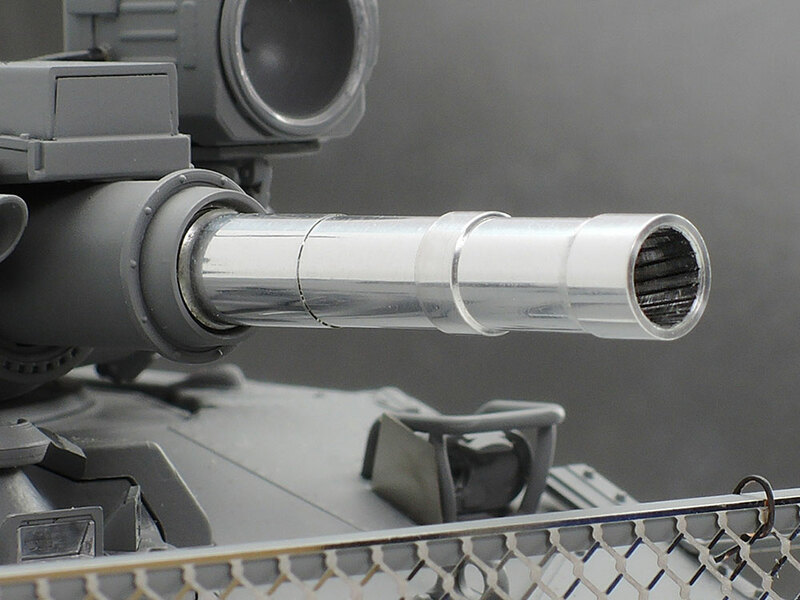 ★Machined aluminum barrel has a precise finish, and features rifling detail in the tip. 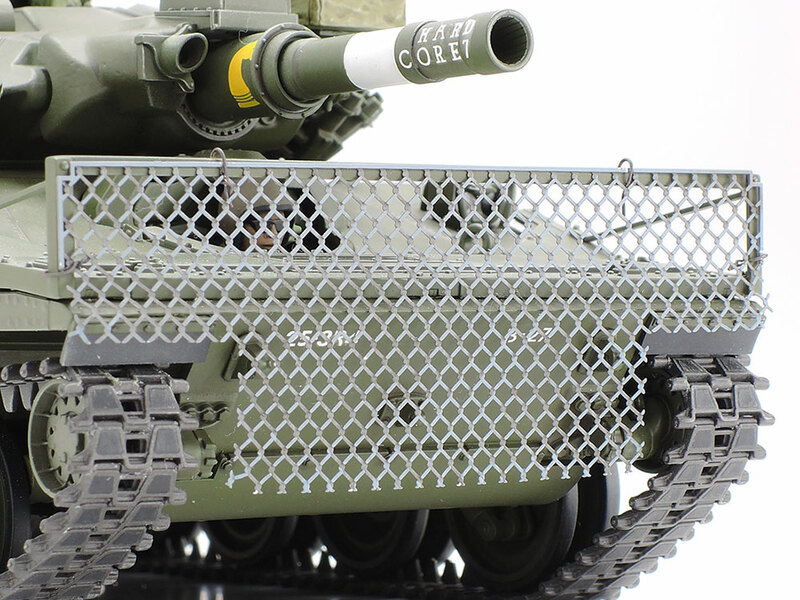 ★Photo-etched part for front anti-RPG wire net is made from soft material to allow bending to the shape of the model. 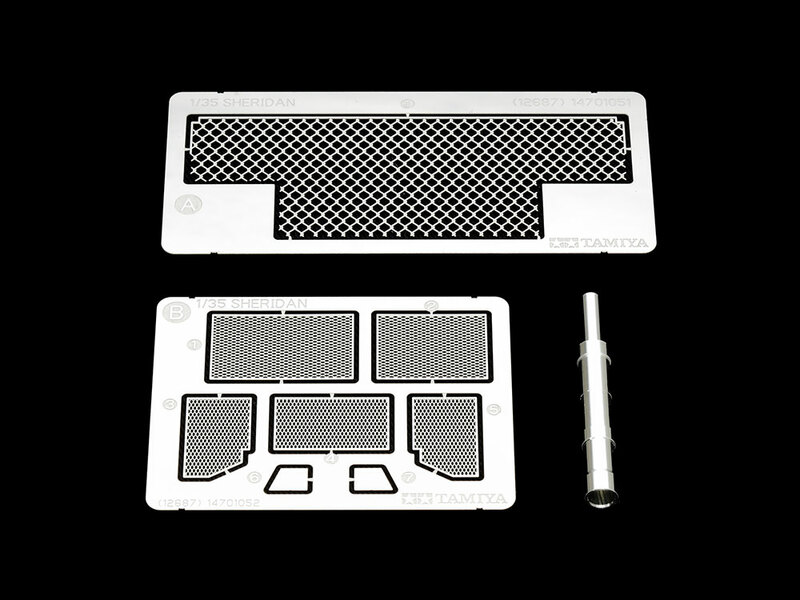 ★Also includes photo-etched recreations of engine grille mesh and light guard plates. ★Compatible with Item 35365 1/35 U.S. Airborne Tank M551 Sheridan (Vietnam War).